MASKerade: SPD MIU34 - You're Awesome! SPD MIU34 - You're Awesome! I focused on the pillow - the stripes and the navy blue anchor. 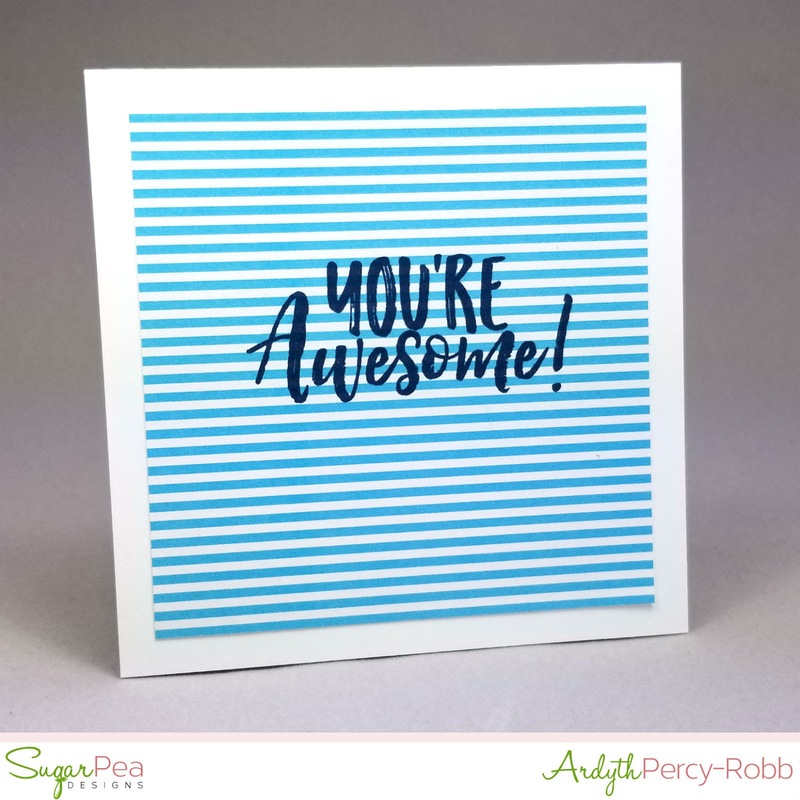 I literally stamped one stamp onto a piece of the new Spots & Stripes patterned paper and called it done. Sometimes, that's all you need. But the colours and the contrast between the straight stripes and the handwritten/graffiti look of the sentiment still create some interest and hey, who doesn't want to hear that they're awesome! lol! Wow! Can anything so simple be so strikingly beautiful? No your card is awesome! Wow Ardyth - this is so simple and yet dramatic!